One way that I can explain the day to day workings of the M.R.E.S. 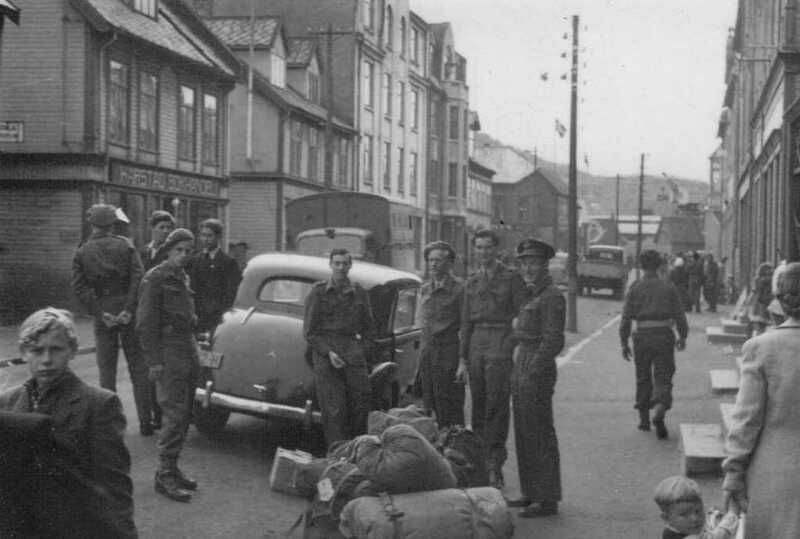 team I was associated with, both frustrations and victories, is to provide the diary extract of my search team boss, S/L Eric ‘Chick’ Rideal from the period 4–July–1946 to 27–August–1946 for the significant OPERATION POLESEARCH which started and then ended in the Norwegian city of Trondheim (This later became Royal Air Force Museum M.R.E.S. Report RAFM B3294 Ref: 6.6). Although the southern part of Norway had been and was being ‘extensively’ covered by the M.R.E.S., there was still a large area in the northern part of the country to be done. 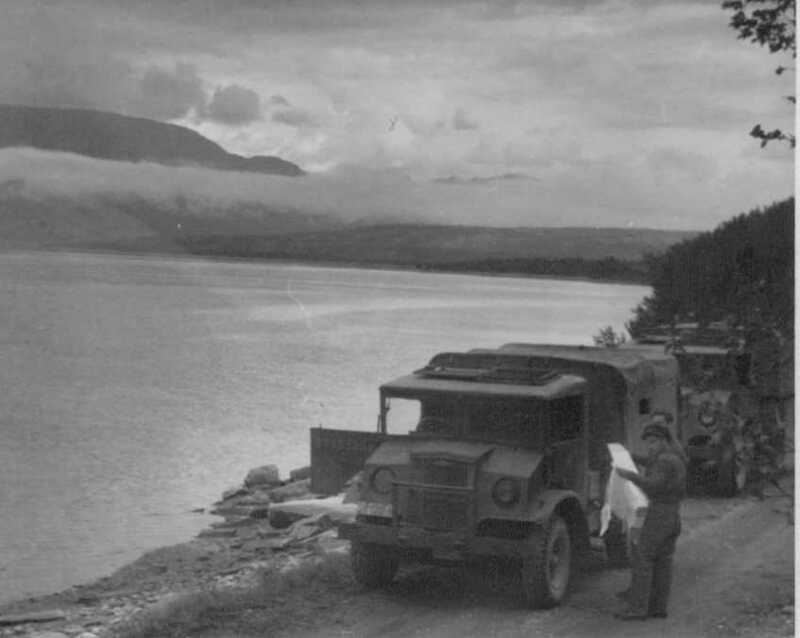 This was the part from Narvik round the north of the country through Finmark to the Russian border. It had been decided that this area should be covered by only two men. The first was S/L Eric Rideal, the Officer I/C of No. 3 MRES 17 Section, whose section at Bergen had moved out on 28th June. The second was myself who had been operating as a Search Officer in No 3 MRES 13 Section coming from the Trondheim region. Our mission began on 5th July 1946. Chick and I got along well together and we made a good team. Chick was born in Stockholm and had been educated at Grenoble University and also at Trinity Hall Cambridge where he’d gone through an officer training program. 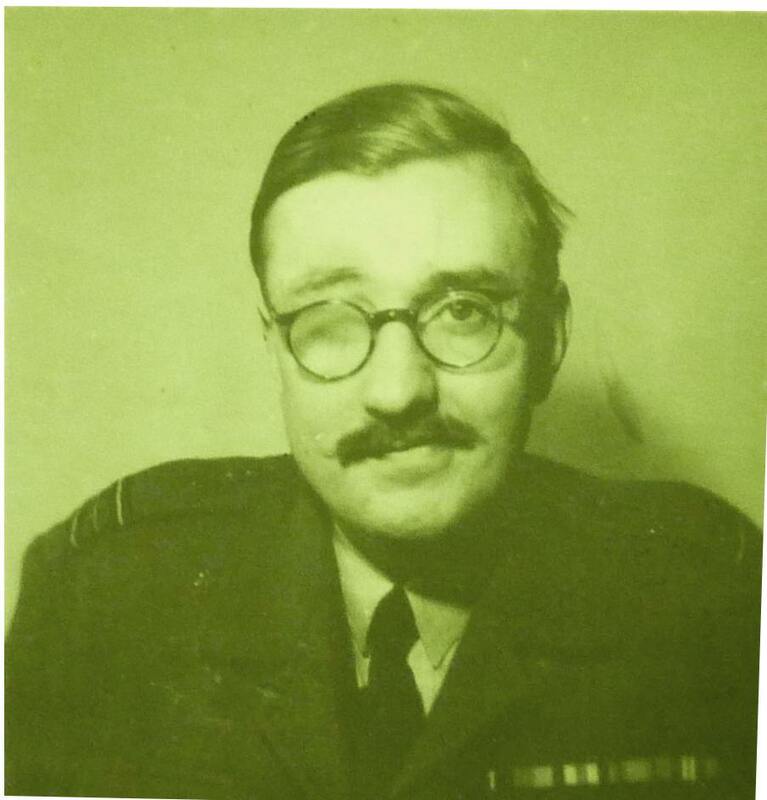 He had spent most of the war working for the Air Ministry in London primarily because he was essentially blind in one eye. However this lack of wartime in–field experience was more then made up for by a dedicated passion for getting the job done. He was a dedicated officer and a pleasure to work with. He turned out to be one of the best Search Officers in the entire M.R.E.S. 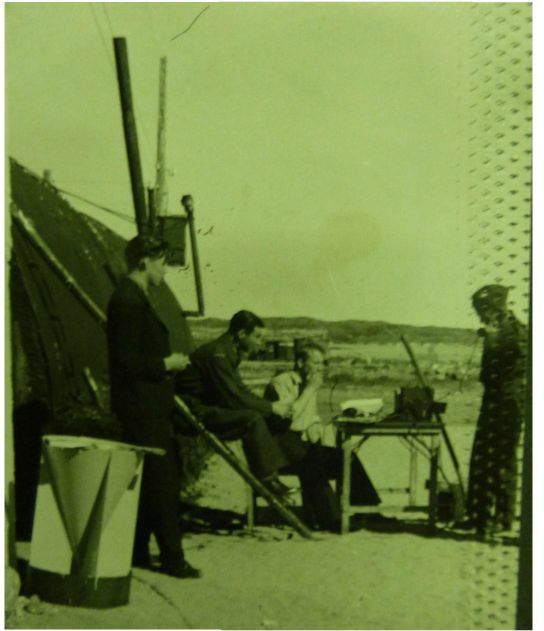 Such that some (location) context can be placed on what was written, the diary writings have been augmented with a few maps and also illustrations of the aircraft being discussed. S/L Rideal and I had been selected to make what was to be a most demanding sweep of northern Norway (parts of Finland, Sweden and perhaps the Soviet Union) called "The Northern Norway Expedition". 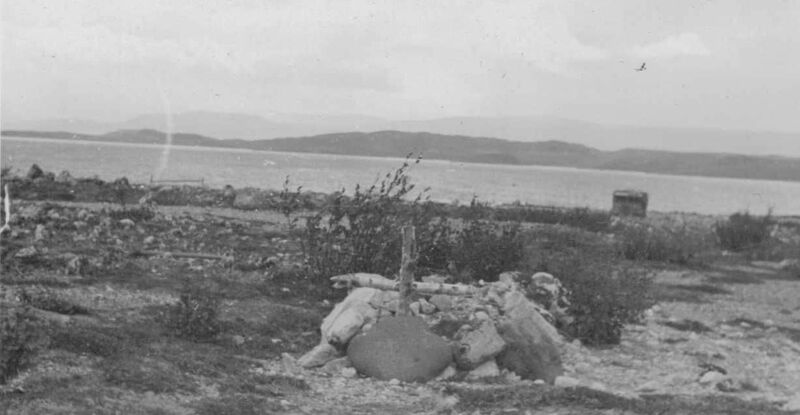 The Northern Norway Expedition was to be the last major operation for the Scandinavian region for the M.R.E.S.. I was never really transferred to Rideal’s 17 Section, and my home 13 Section was disbanded on 28–July while I was on Operation Polesearch. Nevertheless regardless of Sectional jurisdiction, S/L Rideal was the boss for this expedition. 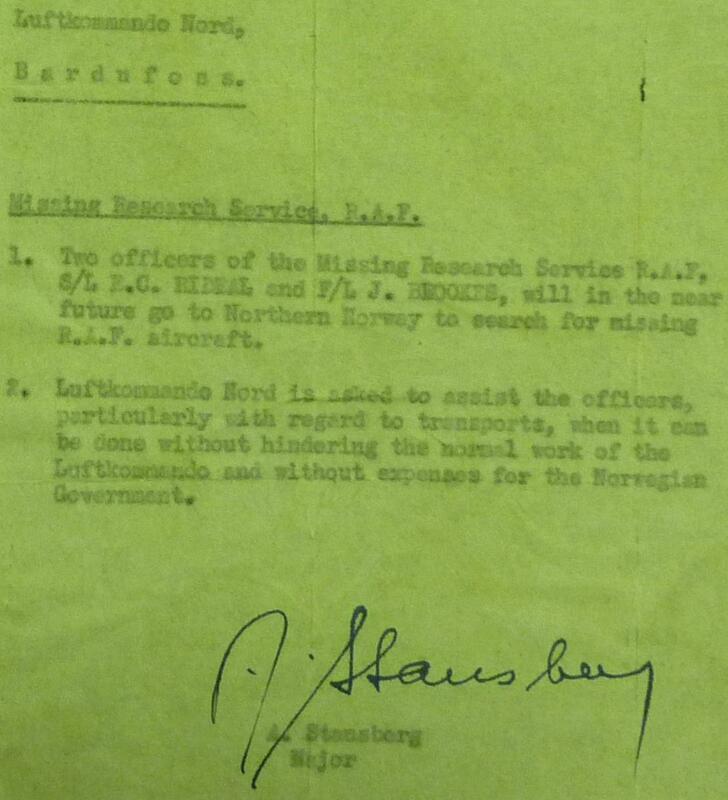 I mentioned above that Operation Polesearch was the last major operation for the Scandinavian unit. In fact while S/L Rideal and I were away on Mission, there was significant personnel movement occurring as a backdrop to our exploits. Numerous of our colleagues –including section chiefs – took ‘Class A’ releases from the military. A number were transferred to other MRES units (principally No 4 MRES). A number prepared to transfer to Germany where No. 3 MRES was to be newly headquartered. On 24–July the Commanding Officer MRES set 15th September as ‘the no later than date’ that all unit personnel should be withdrawn to Unit HQ Esbjerg Denmark. Canada started the drumbeat of speeding up the MRES search task so its airman could be repatriated back home. 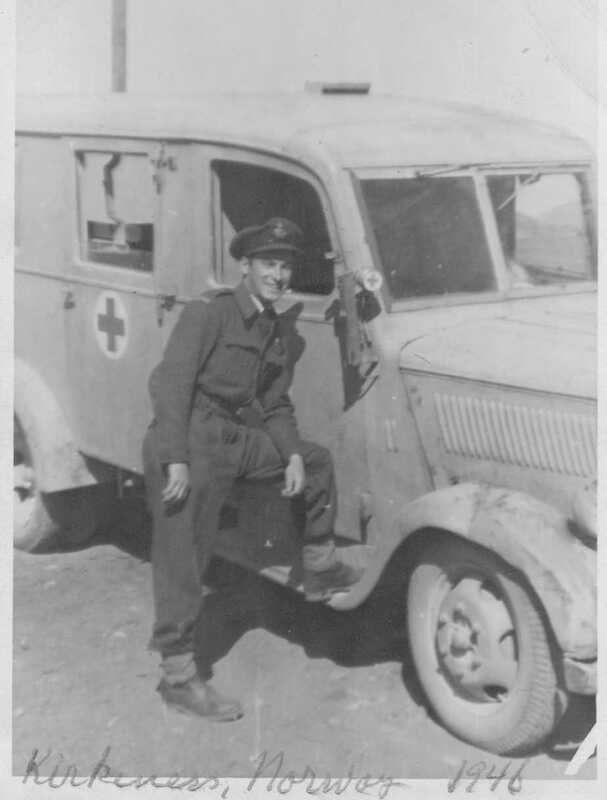 On 13–July–46, MRES No 3 Canadian airman Sgt Leduc and LAC Ricard were repatriated to Canada and then on 4–Aug–46 the No 3 MRES received notification that all Canadian airman (except for myself) associated with No 3 MRES were to be repatriated to Canada as soon as possible. This involved 3 D.M.T.’s, 1 cook, and 1 ACH/GD. The order to repatriate myself would come later while I was on assignment in Germany. Brooks arrived in Oslo from Trondheim, Norway in the morning. Afternoon, collected winter equipment from F.O.D. (Field Officer of the Day), appear to have got everything we want. Also collected first–aid box with water purifiers. I wonder whether we shall need them. I now know we have forgotten mosquito nets. Finally got together our maps and generally tidied up for the trip. In the evening had a bit of a party Continental Hotel. 4-7-46 F/L Brooks of No.13 Section, Trondheim arrived in Oslo from the Section to join S/L Rideal. These two officers are proceeding to Northern Norway and Finmark to search for missing personnel in that area. They are forming part of an expedition organized by No.38 Graves Registration Unit in Norway. The two officers spent the day in securing winter equipment for the trip. 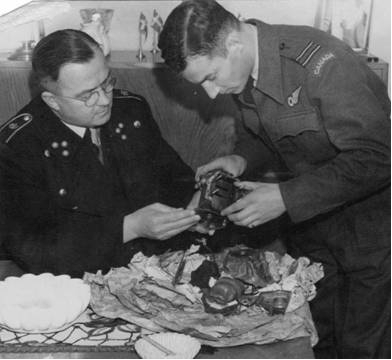 5-7-46 S/L Rideal and F/L Brooks left Oslo with the two officers of the No.38 G.R.U. forming the expedition to proceed to Stockholm on the first stage of the big adventure beyond the Arctic Circle. They have to obtain in Stockholm the necessary visas to enter Finish territory. Finally packed and in late afternoon after much trouble with tickets, visas etc. left Oslo in company with BROOKS, Lt. Finnister, Lt. Herbert, both of the G.R.U. (Grave Registration Unit), and known to Missing Research as Mutt and Jeff. Also two Norwegian interpreters and not to mention S/Ldr. Houghton (14 Section Officer i/c), off on a "crafty Charlie ". 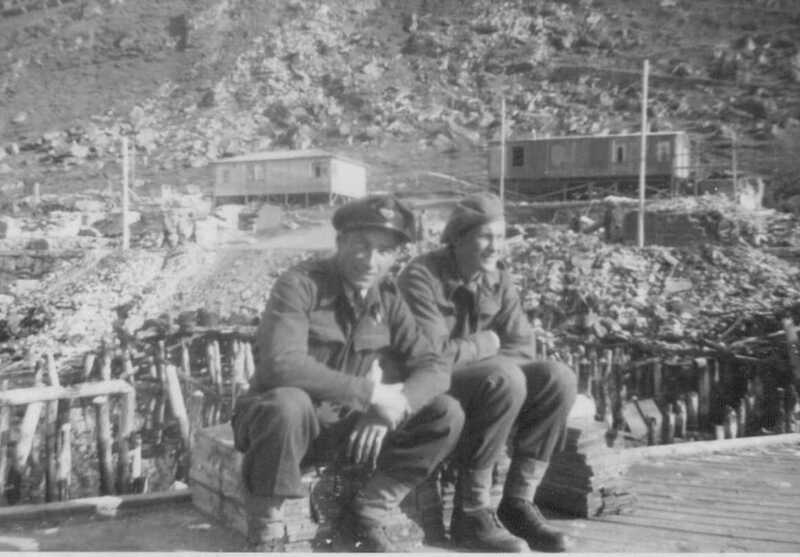 After generally been pushed around we got sleepers and settled down to a bottle of gin. Sandwiches at the Norwegian frontier and no trouble at Swedish frontier. Hans Björkegren was also with us on a 48 to Stockholm. Arrived Stockholm 07.00 hrs and proceeded to invade station restaurant. Eggs and bacon all round. Interpreters disappeared. M. & J. joined queue for sleepers in travel bureau. R.A.F. contingent get ration cards from Food Office, big wangle. Then continued to Air Attaché’s Office to try and get some Svenske Kroner. Air Attaché helpful re allowances. BROOKS & I get visas from Finnish Consulate. Air Attaché’s will try and get us visas for Russia. 17.30 everybody meets and have supper at station restaurant. Fed and got the kit out of luggage depot and board the train for Narvik (Norway). Hans has no platform ticket but pressed on regardless. Short of sleepers again but cleared up by sleeping car attendant. Another bottle of Gin! A good deal of the month of July and August would be spent in the northern extremes of Norway. Breakfast in dining car. More eggs and bacon. Still going North, more food. Lots of fresh meat. Arrived Boden (Sweden) 14.00 hours. Train delayed one quarter hour. Attempted to see British graves. Police obstructive, military area. Fixed flowers. Crossed Polar (Arctic) Circle 17.00 hrs, continued past Gallivare (Sweden) and Kiuna (northernmost city in Sweden, situated in Lappland province). Mines. Mosquitoes start. Torneaträsk, first lapse. Leave Sweden. Three sunken German destroyers in Fjord. Arrived Narvik (Norway) 21.30. Walked to only hotel. Our telegram has thank goodness arrived, reserving rooms. We have our last hot water for a long time. Telephone local army regiment for transport to Harstad on morrow. BROOKS & I to Narvik Railway station to get our heavy luggage. It all appears to be there. Half an hour to wait before transport arrives, visit local cemetery. Nice cemetery. Transport arrives and load up. Said farewell to leader. He will press on to Bardufoss (Norway) and then back to the grindstone at Oslo. Cross by car ferry to other side. Long car journey. Driver a Gehu. Another ferry. Glorious day. Arrived Harstad 14.00 hrs. See adjutant D.K.M.. Does not know much about us. Shortage of billets. Pension Boe. Norgie mess very mixed. Make provisional arrangements. Early to bed. 08.00 hrs woken up by appalling band. Get to Office, have leant us a room in D.K.M. Conference with Chief of Staff. Major Edlund, very helpful. 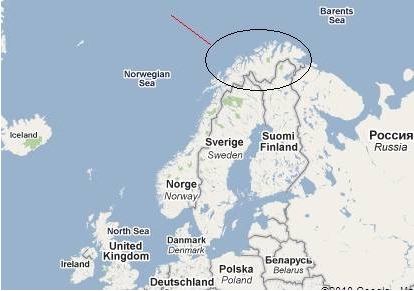 BROOKS & I to fly to Kirkenes (far northeast of Norway). M.T. (military transport) will be provided there by Norwegian Air Force. The road is still kaput. Have two civilian interpreters presented to us. Evening meet Norwegian late Corporal Royal Signals. 96%. 01.00hrs visit local cemetery. Midnight sun. Late bed. Have to get BROOKS to open bottom door. BROOKS off on expedition’s first case. Translate police report. Discovered new case, later known as Reindeer Case. Interpreters report. Young and dim. Hope they improve. Lunch with C. of S. (Chief of Staff), also Major from Shanghai, also D.K.N.’s M.O. BROOKS back, case cleared, F.A.A. 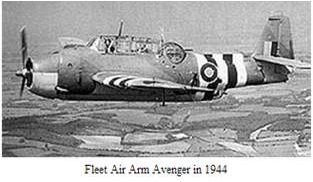 (Fleet Air Arm) Avenger (monoplane carrier–borne torpedo aircraft and light bomber). 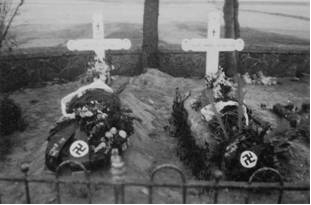 Three of crew buried. Aircraft in mountain. BROOKS wet and annoyed, had been raining. Also Wildcat in Kilbotn Fjord. 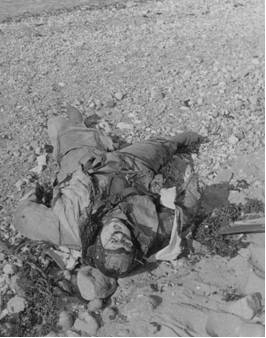 Pilot buried Narvik. We set course tomorrow for the far North–East. 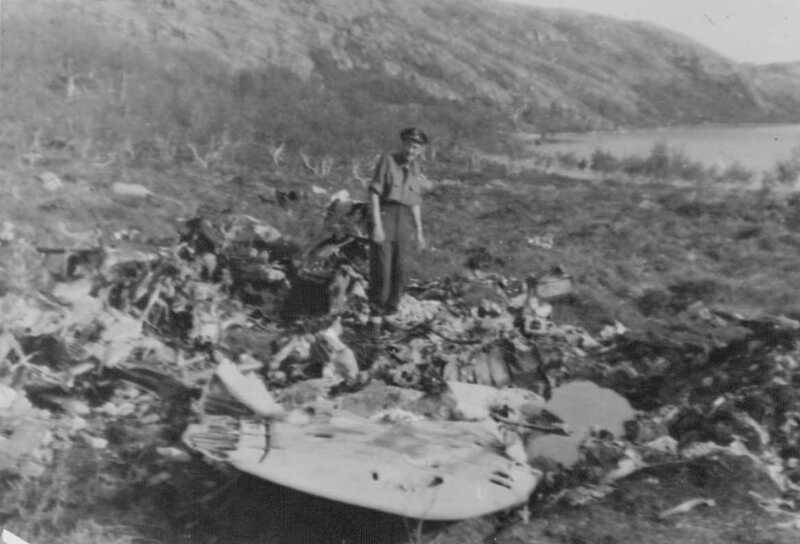 PHOTOS: Stjordal Norway 28 April 1942 crash site. W/C D.C.T. Bennett and crew safe. Airborne 2040 27Apr42 from Lossiemouth. 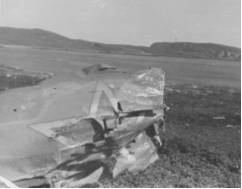 Hit by Flak in the target area and crash-landed near Stjordal, Norway. W/C D.C.T. Bennett Evd ; Sgt H.Walmsley Evd; F/S J.Colgan PoW; Sgt T.H.A.Eyles PoW; Sgt C.R.S.Forbes Evd; Sgt J.D.Murray RCAF PoW; F/L H.G.How PoW. 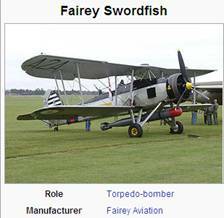 F/L H.G.How was No.10 Sqdn Gunnery Leader. 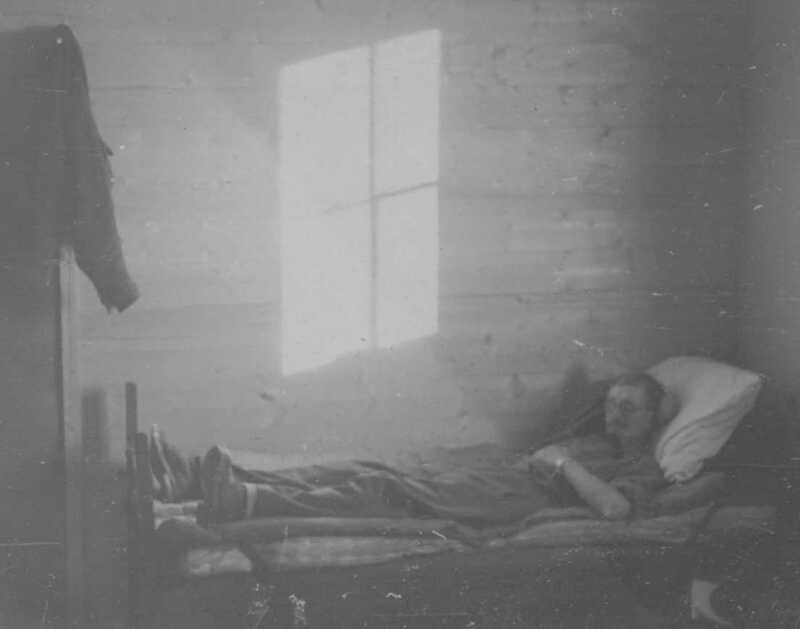 F/S J.Colgan was interned in Camp L3, PoW No.39. 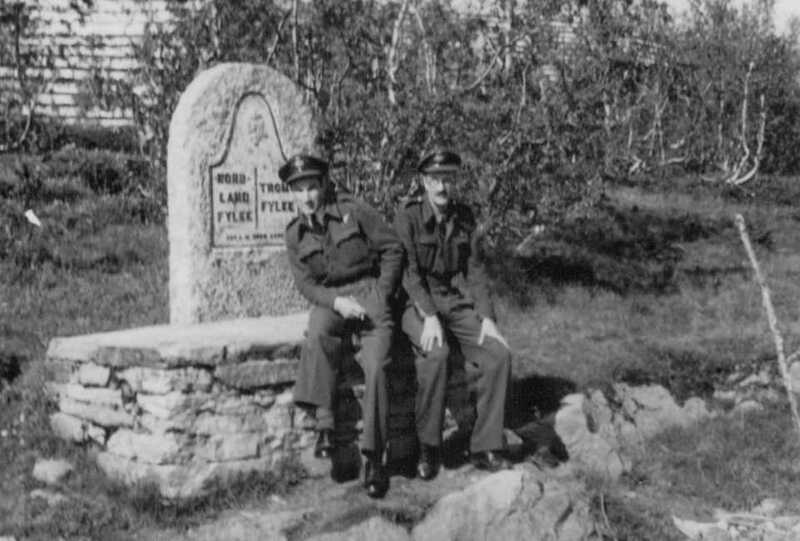 Sgt T.H.A.Eyles in Camps L3/L6/357, PoW No.232 with Sgt J.D.Murray, PoW No.77. F/L H.G.How in L1/L3, PoW No.774. The port of Narvik proved to be strategically valuable in the early years of World War II and the town became a focal point of the Norwegian campaign. 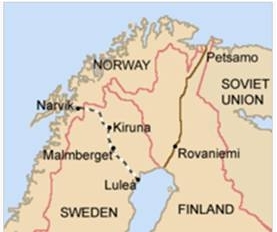 In 1939, Germany’s war industry depended upon iron ore mined in Kiruna and Malmberget in Sweden. During the summer season this ore could be sent by cargo ship to Germany via the Swedish port of Luleå on the Gulf of Bothnia. However, when the Gulf of Bothnia froze during the winter, more shipments of the ore needed to be brought from Narvik. The town of Narvik is linked by rail to Sweden, but not to any other towns in Norway. As a result, Narvik serves as a gateway to the ore fields of Sweden that cannot be easily reached from southern Norway via land. Winston Churchill realized that the control of Narvik meant stopping most German imports of iron ore during the winter of 1940. This would be advantageous to the Allies, and it might help shorten the Second World War. Equally as important, German submarines and warships based there threatened the allied supply line to the Soviet Union. 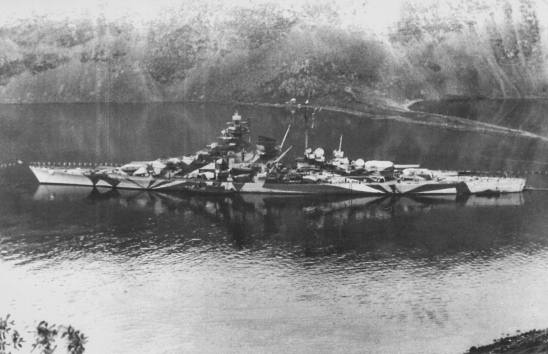 Possession of the Narvik Fjord was also important to the German Kriegsmarine (navy) since it provided a refuge for warships like the pocket battleship Lützow and the battleship Tirpitz outside the range of air attacks from Scotland. Also, U–boats were based at Narvik. Delay with transport. Eventually get 1500 weight truck to take luggage, also borrow Mercedes owned by a father of one of the interpreters, Col. Hunstad. Nice car. Bad driver. Stop on way for lunch. Lovely view of Narvik. 16.30 hrs. Report to adjutant who states aircraft about to leave. Drive on to runway and load kit onto J.U. 52 (German manufactured transport aircraft). Aircraft full up. Women, babies, dogs, God knows what. Lovely view of mountains. Hope we don’t have to force land, extremely perilous. Airborne after half an hour. Weather begins to clamp, but get through along river valley. No accommodation with the army. R.N.A.F. receives us with open arms. Present us with empty rooms and find us some beds and mattresses. No food available, so the boys drive us to "Smokey Joe’s" in town. Big flap in town as King around. Return to airfield and say farewell to Lt. Carlsen, pilot of J.U. 52 (known as Porky). Meet Fenrik Thomsen, C.O. of airfield. 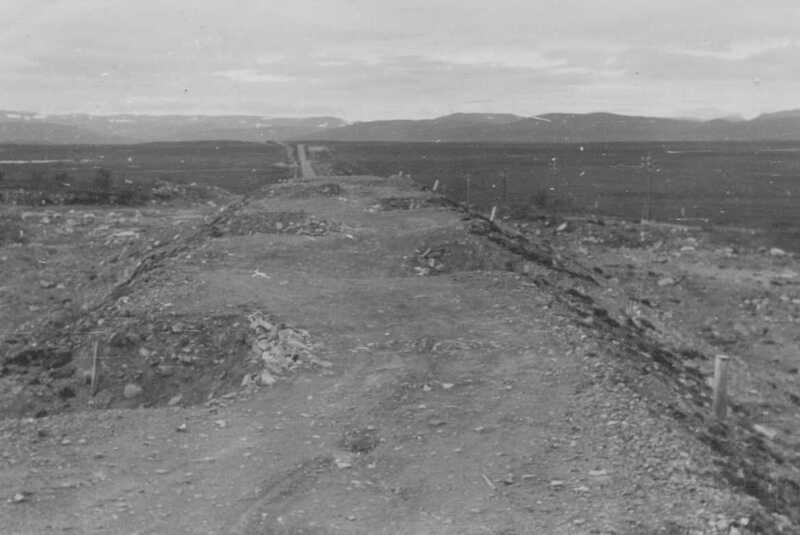 During the occupation of Norway by Nazi Germany, Kirkenes was one of the many bases for the German Kriegsmarine and the Luftwaffe’s Jagdgeschwader 5, and apart from that, the area served as a main base for supplies to the Murmansk– front. Reportedly Kirkenes keeps a second place after Malta on a list of European towns experiencing air–raid alarms and attacks, with more than 1000 alarms and 320 air attacks. Unlike the vast majority of Norway, Kirkenes is located east of the neighbouring country of Finland. Because of this, travelling directly west from Kirkenes actually changes the time zone forward instead of backward, like it usually does. 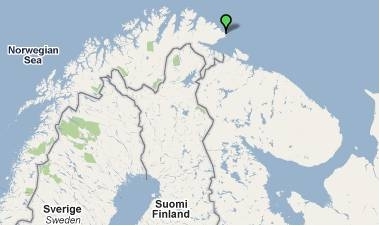 Travelling directly east from Kirkenes (into Russia) changes the time zone forward by two hours instead of one. Lent car by airport, visit Army C.O. Captain Petersen away.Conference with the Russians, but ultimately find him near the frontier. Arranged to get 1500 weight truck and driver from him tonight. Also BROOKS and I got to conference with Russian officer i/c at 19.00hrs. Have natter with Russians. Operations pretty abortive. Coffee and cake afterwards at Captain’s Headquarters much more successful. Meet German Mine Officer. Arranged to have a mine party for tomorrow. Also motor boat from N.A.K..
BROOKS and I visited Police Chief at Kirkeness. Information of F.A.A. 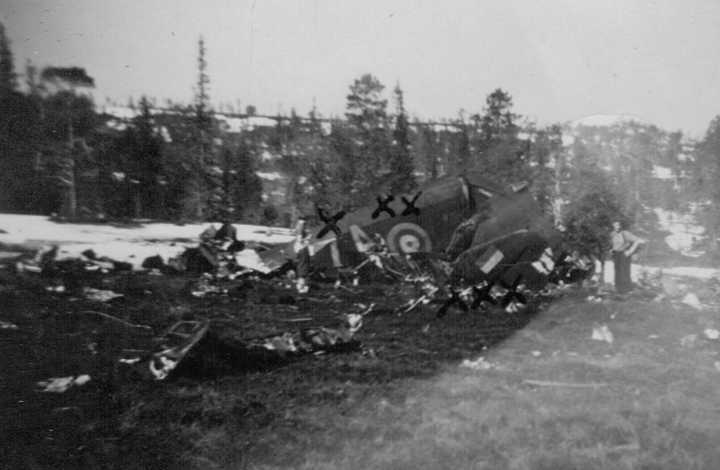 (Fleet Air Arm) crashes at Renoysund. We met mine party 09.00hrs. Then to Police Station to collect policeman. His job, keeping off civilians from stoning German mine party! Man appears who knows of three British on Isle of Prestoy. Area mined. Cross causeway to Prestoy. Proceed by German busily poking ground. Keep well behind. Fine three graves marked with crosses in the bushes. No names. 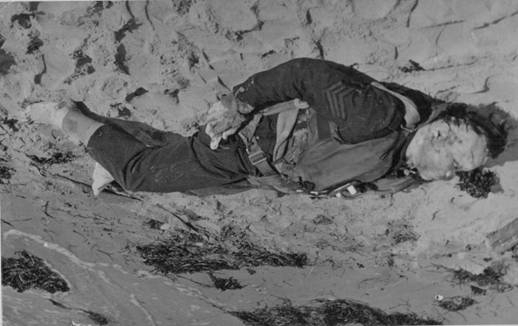 During the following week a German mine party lost two men killed and five seriously injured, including the German doctor, de–mining the Island. All embark in motor boat. Big sensation at quay-side. Two R.A.F. officers, one Policeman, two Norwegian seamen, one Norgie Army Officer, one German officer, five German soldiers; full house. Huns sit on deck house and have dinner. Arrive Renoysund. Inhabitants think R.A.F. officers are Germans. Shake hands when find out they are British. Long tramp over mountains. Find wreck of Swordfish and grave of crew. Crew would still have been alive if when force landing in small lake had not overshot into mountain. Other aircraft crew crash landed and made P.O.W.’s. Get numbers off aircraft. Drive 50km to Svanvik. Lensman (general name for rural police chief) knows nothing. Considerable activity on Russian side of frontier. the Boundary between Nordland County and Troms County in Norway. Sunday. Slept out. Lunch, then to town for bath in hospital. Arranged boat for BROOKS for 15th July, prepare trip myself to Vardø (Easternmost town in Norway, east of Saint Petersburg, Kiev and Istanbul. The port of Vardø, on the Barents Sea, remains ice–free all year round thanks to the effect of the warm North Atlantic drift) and Vadsøy (Located on the island of Vadsøya.). Driver gets ten jerry cans petrol. Hear news from England. Fairchild with Lt. Skaale arrives from Banak. Arrange reccee of Swordfish 300 yards inside U.S.S.R. Believe bodies still in aircraft. 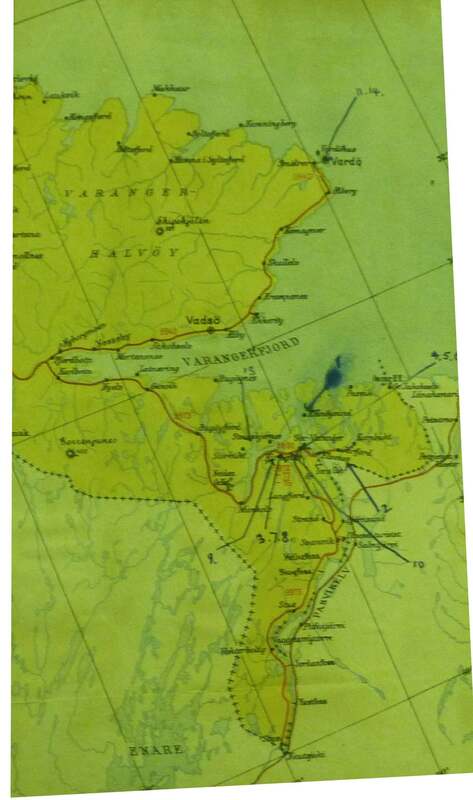 PHOTO COPY of original map used by Rideal/Brooks showing their nominal route (in red) for the Vardø(top center right) to Vadsø and region M.R.E.S. Northern Norway Search Sweep. As well the location of bodies/wreckage found are identified bt the pencilled numerals on the map. BROOKS to Kirkenes for motor boat. Set course myself. 09.45hrs. Sleeping bag, petrol, food. Hot day. Lots of dust. Not another car to be seen on the road. The Lapps race of people is divided into three different groups: mountain, forest, and fisher Lapps. The first two are nomadic and almost entirely dependent upon reindeer. The fisher Lapps have few resources, and at the best have only a few reindeer to dispose of. They are industrious and depend solely on the often insufficient results of their toil. Absolute pauperism is frequent among them. Truck starts going u.s., spitting oil from filter. Press on. See Police Chief. Mostly Russian aircraft. Mustang aircraft in hills, Russian. Also six bodies in mountains. Fight between Russians and Germans. Two-engine aircraft in harbour. Row out at low tide. Can see fuselage. Find propeller blade. American with Russian letters on same. Visit churchyard. Russian grave, also two S.S. men. Car packs up. Arrange to borrow German lorry from mine company thirty miles away. Have supper with Chief of Police. Get away at 22.00hrs. See Quisling Lensman. Get him out of bed, not much help. Find Swordfish which was ditched. Crew got ashore in rubber dinghy. Made P.O.W.’s. Pass long range heavy guns on mountains above Vardø; these shelled Murmansk convoys thirty miles out to sea. Arrived Svartnes breakfast 01.30hrs on top of block house with two German drivers and a Norwegian guard. German driver comes from Öst Premsen "heimatles". Unroll sleeping bag in sand. Sun very hot, but have to get right inside and zip right up because of mosquitoes. Good wash in the Arctic Ocean. Ferry should go at 08.00hrs at Vardø, but cancelled as no Rutebil. Walked to café who brewed some food for us. People waiting for ferry and organize special trip. Ferry arrives and then we cross over to Island, long smooth swell. Clear up mystery re Russian aircraft. 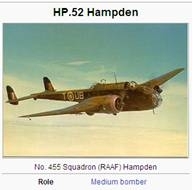 Also believe find one of missing Hampdens aircrafts. Crew reported P.O.W.’s. Report of American aircraft crash. Walk there. 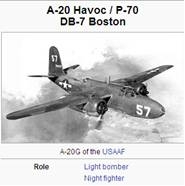 Boston aircraft (actually Douglas A-20/DB-7 Havoc but known as Boston among British and Commonwealth air forces), but Russian. Find cigarette case. Also Russian helmet. No trace of bodies, probably under wreckage. Talk to U.S. G.R.U. at Vadsø. Try and clear up mystery of unknown seaman buried in cemetery. See barber civilian Red Cross. Cannot help much. Bishop confirms, only one British seaman buried here. Buy postcards. Write them, general distribution. Boat back to Kirkenes delayed. Will not sail before 23.00hrs. Eleven hours late. Try local cinema; appalling film. Jeanette MacDonald in French. General breakdown of electrical supply. Film packs up. Hang around the quay–side and ultimately get aboard. Wangle some food, unroll sleeping bag and kip down on deck. 03.00hrs arrived Kirkeness, finding truck waiting. Roll out sleeping bag and go to sleep again. Wake ten o’clock. Pack, ready for J.U. 52 to take us to Banak. 52 does not come. BROOKS recounts story of Swordfish crews he has found near Russian border. Also info on graves in Russia. Afternoon visit Captain Petersen and arrange new truck. Fix naval boat for tomorrow 09.30hrs to see a Lapp called Anti Nitzi at Storfjord (Norway). Got away at 10.00hrs in Naval motor boat to investigate a possible crash. Could not locate Anti Nitzi. Away fishing. Find Lapp with moustache and recently had haircut who says that he knows nothing. However find piece of aircraft leaning against his house. Enter and ask again. He replies: "Oh, that crash." Get location of crash. Mark map. Aircraft Russian, Airocobre. Find bones. Bury them and erect cross. Walked back, very hot. Lost our way. Learned our lesson, never go without a guide. Arrived back at boat 19.00hrs. Set course Storfjord to try and find Anti Nitzi. Now fetching Doctor. Met him rowing in boat. Get location of further crash, see first mentioned on 15th July. This is near Finnish border. Find BROOKS has left for Polmak and Tana. BROOKS gets back 22.30 hrs, found nothing. Hubert Brooks is obviously "the Canadian" referenced in the news article. BROOKS goes off to see contacts re crash near Finnish frontier. BROOKS back. Russian aircraft not worth going out to. Aside: Vinmonopolet is a government owned alcoholic beverage retailer and the only company allowed to sell beverages containing an alcohol content higher than 4.75% in Norway. 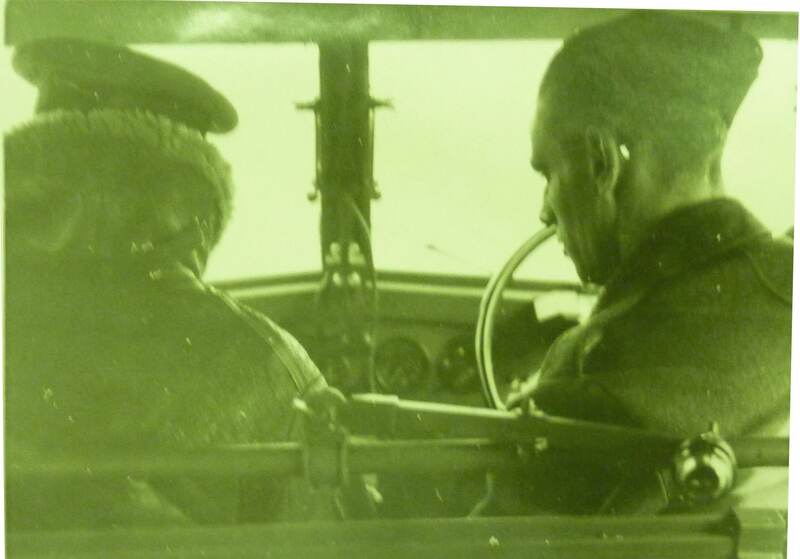 Three Russian Officers deliver Norwegian Major in Jeep to airfield. Bad security. Turned in early but talked. Go to town in German ambulance to get bath in hospital. Big sensation, they think we are Germans. Wizard shower. Feel a new man. Get back. PHOTO: Brooks in Kirkiness Norway 1946 after 1st bath in several weeks! J.U.52 is not due till this afternoon. 52 has gone to Bodö again to deliver some lunatics. Fairchild aircraft arriving from Banak with sick man. Will be able to fly back in Fairchild to Banak. Cancelled. Man dead. J.U.52 cancelled. Will come tomorrow. Have now nick–named Hoybuktmoen (Kirkenes Aerodrome) Thomsens Airport. Big joke all–round. Go to dance with a Sergeant and spent our time chasing the Russians. Sit around waiting for 52. Cancelled once again. Have now waited approximately five days for this aircraft and we are all getting just a bit fed up. Telephone N.A.K., who lent us fishing boat to take us to Hambukt near Banak. We shall sail at 17.00hrs. Hang around and pack up. Fond farewell to Thomsens Flyfelt. Load up in Three Tonner and go down to the vast port of Kirkenes. Find a minute fishing smack, get aboard and immediately set course. Spam, bread and coffee with crew. Set course for Vardö where we shall pick up the cook. Arrive Vardö 23.59hrs, the cook suffering from Karva poisoning, also his assistants who loaded on board approximately 5 drums of paraffin. Turn in again and sleep. Lash up and stew at 09.00hrs. We have coffee, not feeling very hungry. Play cards. 13.00hrs round Cape Nordkyn, the most northerly mainland of Europe! Cook appears and makes soup. Very hungry. Food again, bacon and omelet. 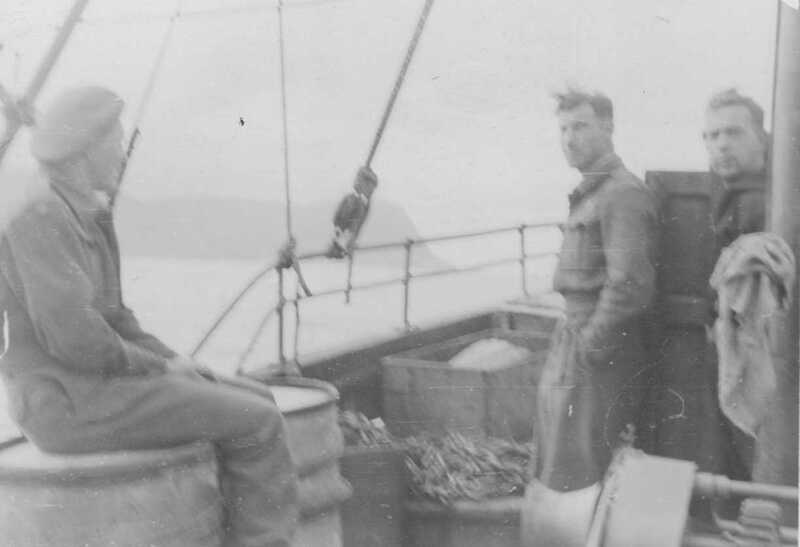 S/L Rideal and F/L Brooks made history for the Unit by sailing in the fishing smack which they boarded at Kirkeness around Cape Nordkym the most Northerly point on the main land of Europe. Ring Fenrik Skeale who collects us. Volkswagon arrives, driven by one of the Sergeants from Kirkenes Aerodrome. 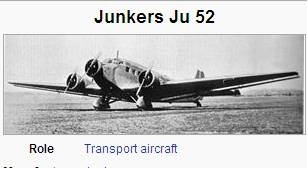 J.U.52 must have come after all. It had in fact arrived the night before. Talk to Major Setov re transport. See M.T. Officer who is just leaving for Bardufass by air. Arrange for transport with M.T. Sergeant. He will do his best. 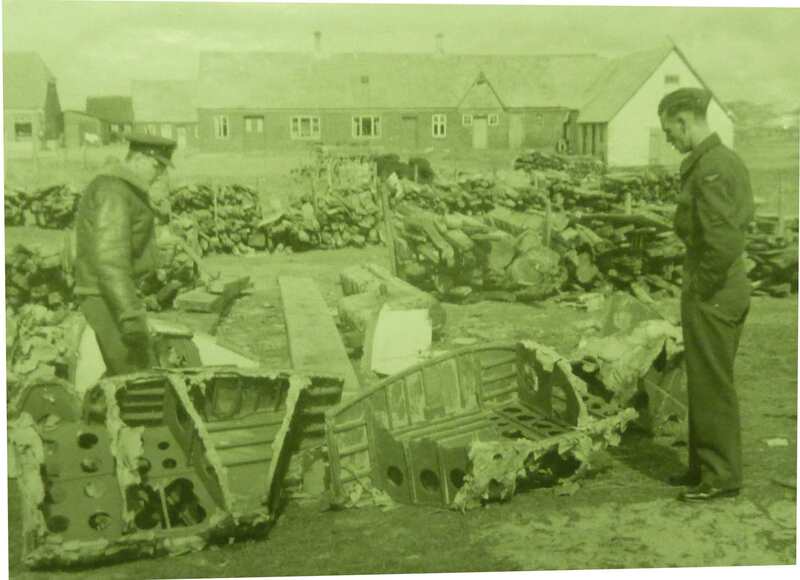 We visit aircraft graveyard and find wreckage of Seafire. Get number. Afternoon, we visit German and Civilian Cemeteries. No British graves. Should get truck today. BROOKS will get first vehicle and go to Hammerfest. No battery. Arrange to borrow one from Battalion at Nedrevan. Borrow truck to collect battery. Find cabaret show in full swing. See Captain Skarv. Have bottle of Guinness. Collect battery and drive back to Banak. Leave transport at Transport Avdeling and walk back. After their victory in the Norwegian Campaign of the Second World War, the Germans soon fortified Hammerfest and used it as a major base. 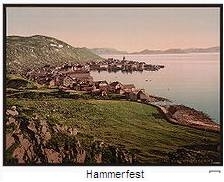 The importance of Hammerfest to the Germans increased dramatically after their invasion of the Soviet Union in 1941. The occupiers installed three coastal batteries in and around Hammerfest, one with four 10.5 cm guns on Melkøya island near the town, one with three 10.5 cm guns on a hill right outside the town and a final battery with casemated 13 cm pieces on the Rypklubben peninsula near Rypefjord. The main German U–boat base in Finnmark was in Hammerfest, serving as a central supply base for the vessels attacking the allied supply convoys to Russia. Luftwaffe seaplanes were based at an improvised naval air station in nearby Rypefjord. The garrison in Hammerfest was also protected by around 4,000 mines and numerous anti-aircraft guns. During summer massive reindeer herds migrate from their winter pastures in the inner parts of Finnmark to the coast. Among the islands inhabited by reindeer during the summer months is Kvaløya, the island on which Hammerfest town is located. For years many of the 2,500 to 3,000 reindeer in the area have been walking into the town itself, wandering in the streets and among the houses. Collect BROOKS’ truck. Much trouble. 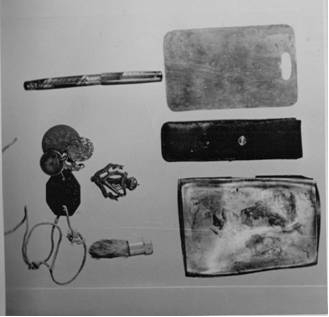 Tools, jerry cans, tow rope, spado, etc., but he gets away ultimately after lunch for four day tour with enough rations. My truck has broken spring, will repair this afternoon. Collect truck in the evening. Appears o.k. 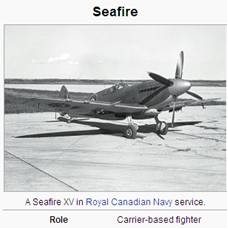 Interrogate local civilians re Seafire. Pilot made P.o.W. Collect local police and start for Björnelva. Truck breaks down. Tow back. Work on truck. Serviceable 16.00hrs. Set course again. Truck packs up again. Get towed back. Leave truck in the N.T. yard. Cannot find anyone in charge, walk home. Arrange to go to Karasjok in the morning. General repair of trousers, and writing of reports. Sent signals to Air Ministry, P.4.Cas. 13.30hrs set course for Karasjok in three ton Chev. Sergeant driver another Jehu. At last persuaded man to take me across in an Elve boat to see Lensmen. No reports of any crashes. Car stuck on way back, but after much pushing got it clear. My truck at last ready. In afternoon to Björnelve to investigate a P.R.U. Spitfire crash. 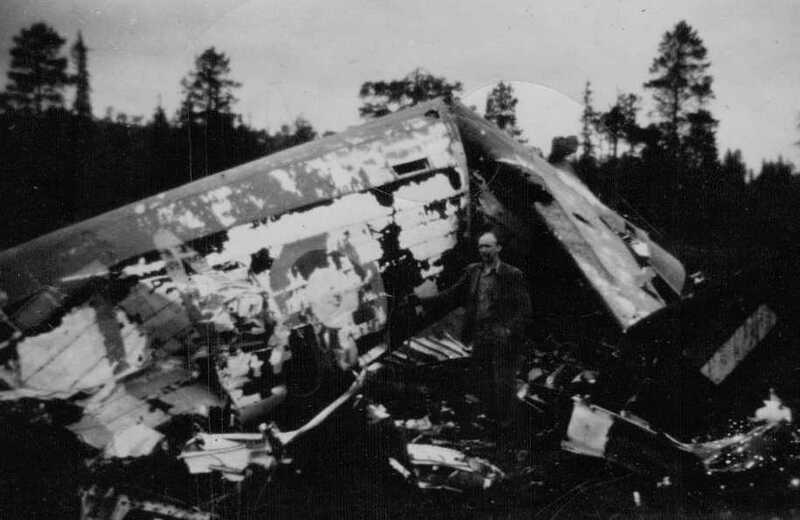 Found wreckage and F.24 camera. Also grave. Evening drove to Barselv. No crashes, but had supper with reconstruction people, very bumpy road. Drove a Lapp woman back to Banak. Postmaster’s daughter claims to have hidden an Englishman. Saw Major Setov and thanked him for his co–operation. Much amused about Postmaster’s daughter. He put me on to the story. Fill up with ten jerry cans of petrol and 14 days rations. Hear from BROOKS that he will be in Alta following afternoon about 17.00hrs. Set course for Alta 14.00hrs. Fair road. Delayed by Germans blowing up ammunition dumps. Leave the coast and start climbing over the mountains. Road deteriorating. Wooden snow tunnels for ten miles burned out. All bridges blown. See Lensman. Arranged with him to get empty room at Police Station. Brew up and turn in. PHOTO: Checking Route Alta–Hammerfest. Transport GMC Chev 1500 weight. Arrange climb mountain 17.00hrs. Reported a crash. Lunch with Salvation Army. Fish again. Meet BROOKS on way back. Mr. Livingstone, I presume. We investigate Wildcat crash at Bossecop. Little wreckage left. 17.00hrs we start climbing mountain with a youth as a guide. 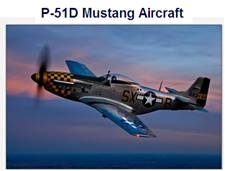 Aircraft found. 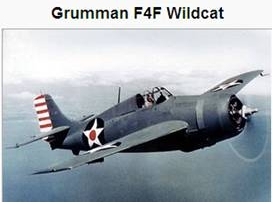 Wildcat. Majority of identity plates removed, but airframe number found. Pilot already removed to cemetery last year. READ PART 2 of SUMMARY OF M.R.E.S. 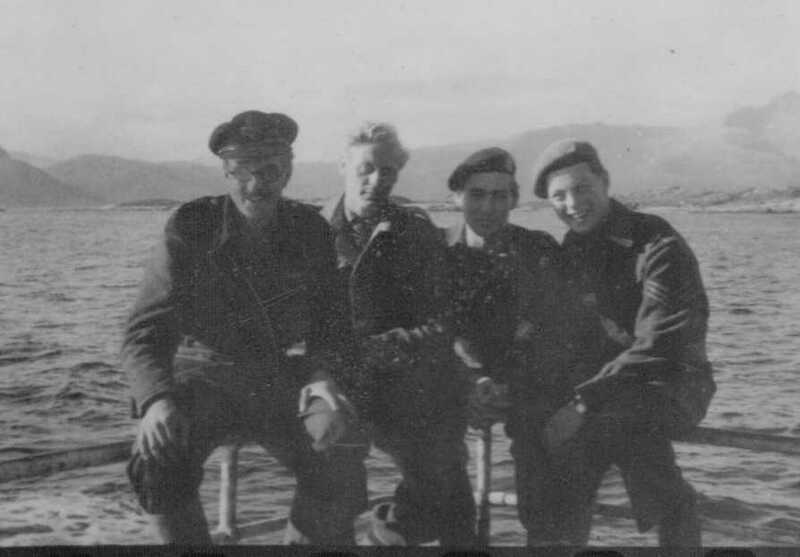 OPERATION POLSEARCH – NORTHERN NORWAY EXPEDITION 1946 in the next SECTION.